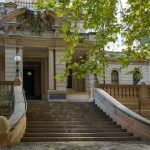 Changes to the bail process in NSW, including the removal of presumptions in favour of bail, are set to become law. The legislation, known as the new Bail Act, was introduced to the state parliament in May 2013. 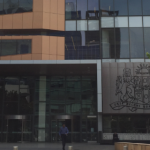 The act is expected to become law early in 2014, and will result in a number of changes to the way decisions are made on whether or not to grant an offender bail. Here is an overview of the main changes that will come into effect once the new Bail Act becomes law. The current system of deciding whether or not to grant bail involves making certain presumptions based on the type of offence committed. Offences that have a presumption in favour of bail mean that people who have been charged with these offences are to be granted bail unless there is a compelling reason against it. Offences with a presumption against bail mean that alleged offenders must be refused bail unless there are extenuating circumstances. There are also a number of offences that are considered neutral, which means that police or magistrates choose whether or not to grant bail depending on the individual circumstances. 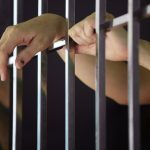 Under the new system, the presumptions will be removed, which means that in theory, those who have allegedly committed offences that would normally have automatically been refused bail could now be granted bail. 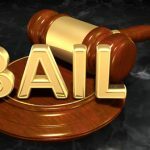 The new system of unacceptable risk means that police or the courts will look at whether there are any risks associated with granting bail to an individual, and if there aren’t any, or if the risks can be mitigated by imposing specific bail conditions, the person will be entitled to be granted bail. Whether it is likely that the person will commit a serious offence while on bail. Whether the person is likely to turn up for their scheduled court appearance. Whether they are likely to interfere with witnesses or evidence. Whether or not their release from custody is likely to pose a danger to the community. When assessing whether or not an alleged offender meets any of the above criteria, the court will usually look at their previous history, the nature of the offence they are alleged to have committed, and whether or not they are likely to receive a custodial sentence as a penalty. Other factors that are likely to be taken into consideration include whether or not they have strong community ties and how strong the prosecution’s case is. The court will also look at the requirement for the accused to prepare their defence and whether they need to attend rehabilitation or counselling programs in the community when making their decision. The new changes to bail legislation are intended to simplify the bail process and keep the community safer by ensuring that offenders who do pose a risk are kept behind bars until their matter is dealt with. 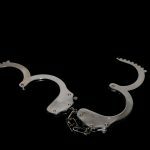 When the changes do come into effect, it will be more important than ever to consult an experienced criminal lawyer if you or someone you know has been arrested and needs to apply for bail. 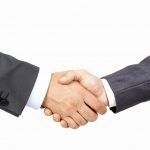 Consulting a criminal lawyer can help ensure you have the best chance of success.